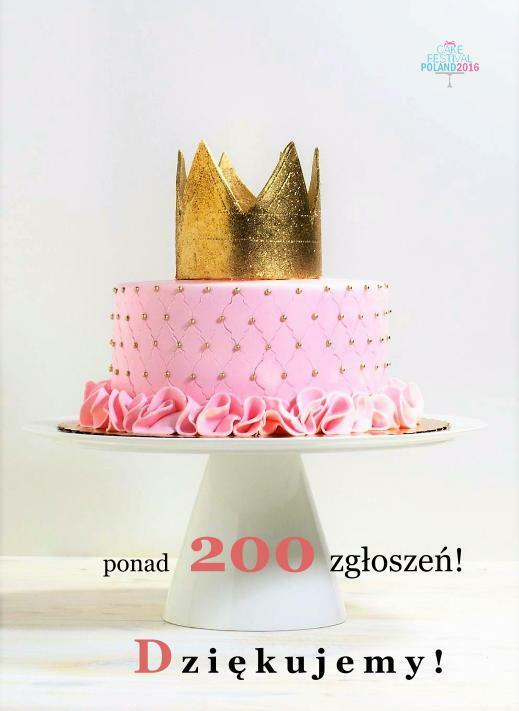 It will be a competition at the highest level and a phenomenal exhibition - this will be provided by more than 300 participants of the cake decoration competition during the 1st Cake Festival Poland in Katowice! Every four minutes - with such a frequency the entries for the cake decoration competition was arriving in the last hours of registration. Before that the number of participants exceeded all the expectations of organizers, who had expected a maximum of 150 entries. Currently, there are over 300, both the Polish and from abroad. - When more than two years ago the idea to organize OUR Polish Festival occured to me, I did not think that there could be more than 300 participants. This only confirms the fact that Poland was waiting for such an event - says the initiator and co-organizer of the Festival - Kinga Jakimowicz. Most of them, over 70 entries, appeared in the "celebration cake" category. A similar number are in the "wedding cake" and "edible figures". The lowest interest was in the hardest category - sugar flowers. Very pleasant surprise for the organizers is the number of entries in the category for children, because there are more than 30! This number of entries means the double amount of work in preparation for the festival, but also a double dose of satisfaction. It is a sign for us that the event will be visited by crowds - both professional decorators, bakers, hobbyists, as well as the people for whom it will be an entertainment at the highest level to see the masterpieces made of sugarpaste, chocolate and caramel. It is already a great success of the industry, which in Poland is just beginning to experience its boom and has a chance to present itself on the world stage as the cradle of true talents! The winners, who will win gold, silver and bronze in 8 categories, will be announced on October 23 (Sunday) at 2PM in the International Conference Center in Katowice.